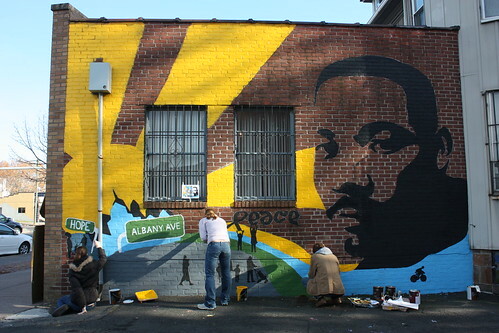 View the photos from The Upper Albany Mural Project! The Upper Albany Mural Project Update! All images from the painting of the Upper Albany Mural Project are available for view on our Flickr Site. View photos from Day One of painting, Day Two, and Day Three to see the entire process that went into the production of the mural. Note: Images from all of our projects will be uploaded to our Flickr Site, so be sure to check back periodically for updates!